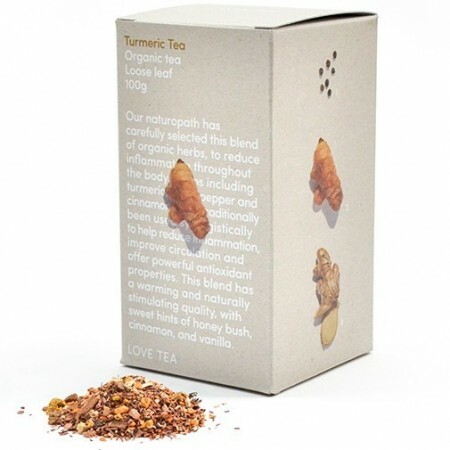 An organic and fair trade loose leaf Turmeric tea. This blend is full of naturopathically selected herbs to help reduce inflammation throughout the body, improve circulation and offer therapeutic properties. 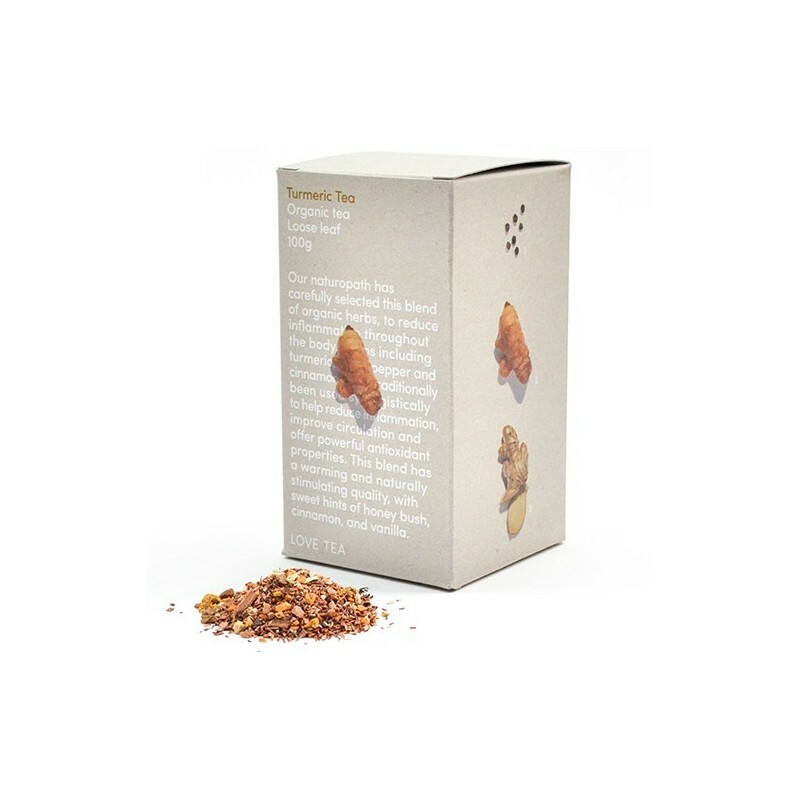 A naturally warming and stimulating blend that offers sweet hints of honey bush, cinnamon and vanilla. 100g of loose leaf tea. Caffeine free. 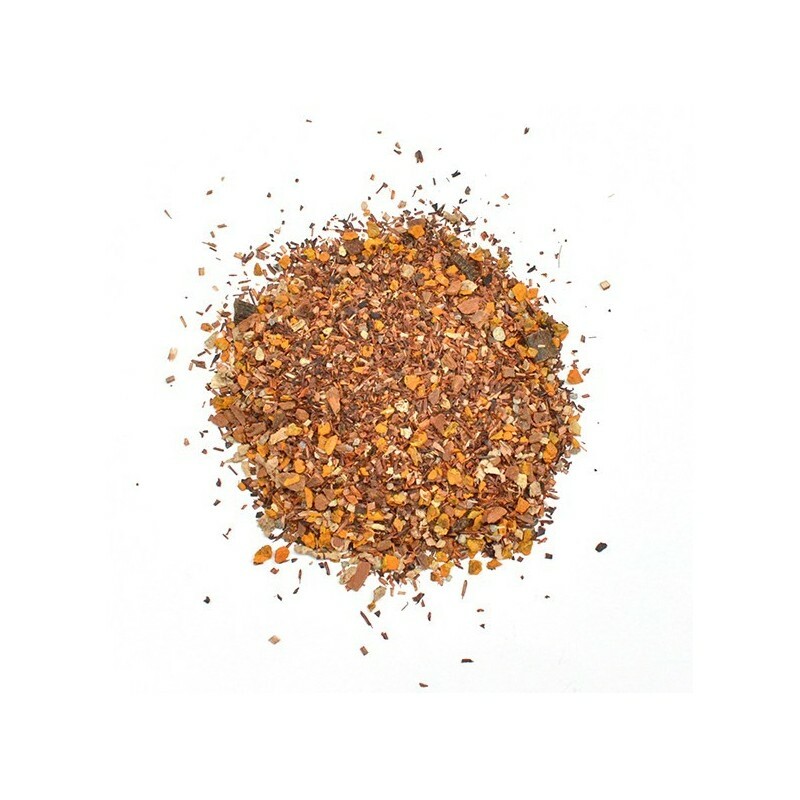 A blend of antioxidant rich herbs. Helps support circulation and reduce inflammation throughout the body. Well balanced blend of fresh, earthy spices with a sweet aftertaste. Place a heaped teaspoon (2.5 grams) of tea per cup (250ml) into a teapot or infuser. Add filtered water at 75°c - 85°c and allow to infuse for 3 - 4 minutes. Strain the tea and serve. 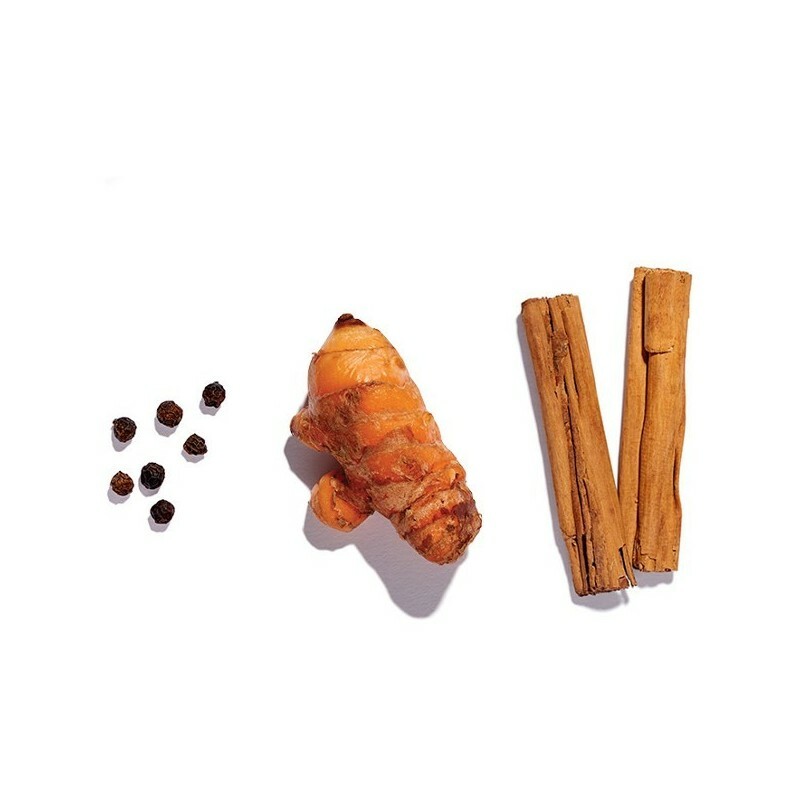 Certified Organic Turmeric, cinnamon, rooibos*, honey bush, ginger*, black pepper*. * Fair trade ingredients. Packaged in a biodegradable post-consumer recycled cardboard box and compostable cellophane bag, printed using vegetable based inks.